These are two of the latest articles I wrote for The Final Call Newspaper. One's on the sentencing of the former BART officer who killed Oscar Grant, III. (Sis Melanie Muhammad of Mosque #27 and Bro Jamo Muhammad of Mosque #26B did their writing thing in this one with me) and the other is on the impact of the midterm elections; but please!!! go to finalcall.com and check out what Staff Writer Saeed Shabazz wrote about one of our 15-year-old sisters who was raped and sent to jail. OAKLAND (FinalCall.com) - The city suffered some violence Nov. 5, hours after Los Angeles Judge Robert Perry sentenced a former transit officer who fatally shot Oscar Grant, III, on New Year's Day 2009 to two years in prison. The Associated Press reported that police arrested more than 150 people after a crowd reacted violently to the decision. While AP reported a peaceful downtown rally and march turned into smashing of bus and car windows, activists and some protestors accused the police department over reaction. 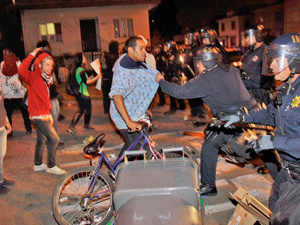 Hip hop journalist Davey D wrote online that at one point, police officers outnumbered the protestors. New police chief Anthony Batts said the protest was declared an illegal assembly after an officer's gun was taken from him. “We saw images in the news of many protests and the public should know these were not wild-eyed radicals, but men and women from every walk of life and in every event, there has been misinformation about the conflicts,” said Student Minister Muhammad of Muhammad Mosque 26B in Oakland. Anger was fueled by minimal prison time given after the involuntary manslaughter conviction of Johannes Mehserle. “Michael Vick had to serve four years in prison for fighting dogs. Four years,” Wanda Johnson, Mr. Grant's mother, told Judge Perry during her victim impact statement, which she read during the more than three hour long sentencing. “Anything less than the maximum prison term (14 years with a gun enhancement) is unjust, not just to me, but to all people because it says that officers are above the law,” she said. Before he ruled, Judge Perry read, some inside the courtroom said interpreted, a few of the thousands of letters and postcards he received urging punishing Mr. Mehserle with the full weight of the law for the shooting. Judge Perry was offended by use of the word “murder,” and emphasized the word each time he read it, particularly when the communications asked for a fair ruling to send a message of justice for Black and Brown victims of police brutality and murders across the nation. “We, as a family, still see this as a murder, so you will still see me refer to this over and over as a murder,” said Cephus “Uncle Bobby” Johnson, Mr. Grant's uncle.He became upset and told Judge Perry sternly, even hitting his fist on the podium, that his family shouldn't lose the case because of a failure by the judge. The judge's had apologized, saying he erred when instructing the jury about the gun charge. The form given to the jury could have somehow led to their verdict of involuntary manslaughter and the gun charge should never have been included, the judge said. Judge Perry doubled the 146 days Mr. Mehserle served in custody as credit for good behavior. He could be released from state prison in less than a year. His attorney, Michael Raines, an ex-policeman, is gunning for a quicker release: He filed an appeal to have the involuntary manslaughter conviction overturned and will soon be in court asking that his client be sent home on bail. Judge Perry granted the defense a new trial on the gun enhancement, and then dismissed the gun charge. Jackie Bryson, Oscar's friend who was with him on the platform, walked out of court at that point.As Judge Perry continued, Oscar Grant's fiancée Sophina Mesa walked out. Her mother followed minutes later, disgusted that Judge Perry was acting as an apologist and sympathizer for Mr. Mehserle, the family said. Judge Perry said Mr. Mehserle showed great remorse for the accidental shooting. The victim and his friends—as well as a loud, volatile mob on the train and platform—were partly to blame for his death, the judge added. As he announced the two-year sentence, a frustrated and disappointed, yet composed Wanda Johnson stood up first, declaring, “That's it? That's nothing.He's free.Let's go.”Family members and supporters walked out as Judge Perry continued with sentencing formalities. “His behavior in court was atrocious.He attempted to answer the race problem by declaring to Black people, ‘Don't bring me the race problem. Just deal with it.President Obama is in position so you should be happy and just go away,' ” Min. Muhammad said. “That just goes to show you that a dog's life is more valuable in this country than a Black man's life,” Ms. Grant told family members in a quiet setting in the courthouse as next steps were planned. Min. Keith Muhammad said the community wants justice and wants the Justice Dept. to probe the case. (FinalCall.com) - As the Republican Party revels in its takeover of the U.S. House of Representatives with midterm elections, as the Democratic Party regroups and the Tea Party edges further into mainstream politics, Blacks in America ponder what the downfall of Democratic politicians and a weakened, embattled president means for their own interests and political power. 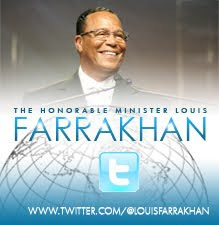 “This election absolutely confirms the truth, the predictive power in the message of the Honorable Elijah Muhammad that is continuing through the Honorable Minister Louis Farrakhan, and that is Allah will make us separate,” said Nation of Islam Student Minister Dr. Ava Muhammad. Since the election of President Barack Obama, she said, many Blacks fell under the illusion of a post-racial America, which they now see doesn't exist, because the country was architected by White supremacy and it absolutely cannot survive on any other principle. “That's why there has been such a vehement outcry against the current administration,” she said. Essentially, said Dr. David Bositis, a voting rights and political expert with the Joint Center for Political and Economic Studies in Washington, D.C., those who voted most in this election were older White males who wanted to send a message that they were angry about the economic security they feel. “This was the election of the manipulated, angry, White male, not just the angry, White male. This was the Glenn Beck, (Sean) Hannity, (Bill) O'Reiley-manipulated White male,” said Dr. David Horne, executive director of the California African American Political & Economic Institute and Professor of African Studies at California State University Northridge, referring to far right wing Fox News TV program hosts. That anger was supported by multi-millionaire backing that shelled out big money for conservative Tea Party ad campaigns, which amounted to a good, sustained marketing campaign over nothing but lies, misinformation, and maintaining public ignorance, Dr. Horne said. Even though President Obama and the Democrats provided some very important advantages to Americans, many simply were angry, ill-informed, and ignorant, Dr. Horne said. That's because the Democratic Party clearly shunned the Black Press, Danny Bakewell, Sr., publisher of the Los Angeles Sentinel, told The Final Call. The chairman of the National Newspaper Publishers Association, which represents Black-owned newspapers across the country, said Democrats took a traditional approach of last minute outreach, claimed not to have enough ad dollars to go around, and assumed that Blacks would just come to their aid. 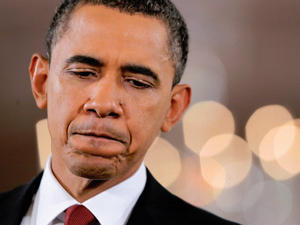 But in spite of the fact that Blacks did their part in most of the campaigns, the Democrats still lost, he said. “If we're good enough to elect you, if we're good enough for you to be able to rely on then we ought to be good enough for you to spend some money with,” Mr. Bakewell said. Former Gov. Kaine is the head of the Democratic National Committee. “It is absolutely astonishing that Blacks have no representation in the Senate, where the real power lies and Black political leaders don't seem to be very proactive in getting the reality out that Blacks never have anyone there,” Dr. Muhammad said. “Blacks never have more than one at a time and decades go by where they have nobody, like now, and that speaks to the Honorable Elijah Muhammad's point of taxation without representation,” she said. She continued that one of the most in your face robberies of Black rights played out in the Florida Senate race of Kendrick Meek, the Black, Democratic nominee for the U.S. Senate. When former Republican Governor Charlie Christ went Independent after realizing he could not beat Republican Marco Rubio one-on-one, he forced a three-way race with Mr. Meek, who has served in the House of Representatives. “He (Mr. Meek) did not get support from the Democratic National Committee. ... 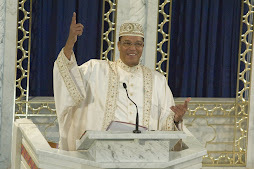 It is clear to me that every time a Black person stands up to get a seat in the Senate they are robbed of getting in or they are run right back out after one term,” Dr. Muhammad said. While she believes Blacks have no obligation to save any political party, Blacks should be more politically astute and proactive to function inside the current system, such as voting for the president and assisting him in governing by participating in legislative elections, she said. A major winner in the election was the overwhelmingly White and conservative Tea Party, which supported candidates in a number of races. Several of their candidates, including Rand Paul, who won a Senate seat in Kentucky, hold far right views and aren't talking about making compromises. Many felt there were overt and covert racial messages and agenda this election season. The public outcry included like “big government” and “tax and spend,” which are actually code phrases for Black people, Dr. Muhammad said. These phrases were the common refrain of Tea Party and GOP candidates—even in states like Illinois, which has traditionally seen moderate Republicans elected. Even Mr. Obama's former Senate seat went Republican this election. 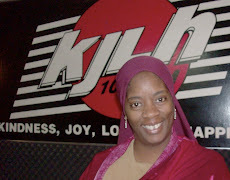 According to Abdul Arif Muhammad, general counsel for the Nation of Islam, other phrases like “cutting government spending” really refer to cutting “entitlements” such as Social Security, Medicare, and unemployment benefits, which would disproportionately affect the poor, largely represented by Black and Brown people. There was no talk about cutting military and defense spending on the wars in Iraq and Afghanistan, which are still highly funded to the tune of nearly a trillion dollars, and has weakened the economy, Atty. Muhammad said. But there is talk of maintaining the Bush-era tax cuts for the wealthy, which also added billions to the government deficit. If voters look carefully into it, they would see the Republicans favor the wealthy, rich, and powerful which falls along racial lines as to who would be disproportionately benefited by their policies, said Atty. Arif Muhammad, who is also a former editor of The Final Call newspaper. The recent elections demonstrated not a post-racial America, but a worse racial America, he added. “Much of the political dialogue and discourse had undertones of racism in its coded language, such as, ‘We must ‘take our country back,' and ‘We believe in constitutional government,' ” but that refers to what is called the original intention of the framers of the Constitution, meaning it excludes other than Whites because Blacks were still in slavery at the time. Representatives, and they gained six seats in the Senate. The Democrats hold a slim majority but the political process is expected to be highly contentious. Pundits say the only way any legislation will move is if the president moves to the right to try to appease forces whose success is tied to his political ruin. The GOP agenda will likely revolve around traditional Republican issues—like tax cuts, war and easing government regulation. That means little or no discussion of the needs of the poor, little sensitivity for Black and Latino concerns and a likely hard line to highlight their differences with the president. The GOP is also vowing to overturn health reforms won by the president. In order to gain control of the House, the Republican Party needed half of the 435 seats held by voting members of the House, plus one.The 60 seats gained in the midterms gave them a total of 239 to the Democrat's 196. Prior to the elections, the Democrats controlled the House with 256 seats. The Republican take over means that Representatives Charles Rangel, Bennie Thompson, John Conyers, and Edolphus Towns, Congressional Black Caucus members, will lose their chairmanships over the Ways and Means, Homeland Security, Judiciary, and Oversight committees, respectively. Members of the Congressional Black Caucus will also lose 18 subcommittee chairs. The loss of committee chairmanships means the loss of the ability and the ability to easily highlight and discuss issues like Haiti reconstruction, alternatives to mass incarceration, help for Black farmers and issues that are important to Black America. Some Republican leaders have said stopping the president for getting reelected is their number one priority. While the losses in congressional midterm elections will impact Blacks, there is also reason to worry about what happened in many statewide races, said analysts. What's more dangerous to the quest for political power is the Republican's predominant takeover of the legislative and governor's seats throughout the country, Atty. Muhammad argued. The party that controls state legislatures draws district lines that impact how representatives will be seated in Congress and how these districts will be configured. Those voting districts will last for another decade until the lines are drawn after the next Census. Melanie Campbell, president and CEO of the National Coalition on Black Civic Participation, refuted media reports that Black voter turnout was low. In fact, according to Dr. Bositis, the Black vote was strong in places like California, Delaware, Illinois, Indiana, New York, Ohio, Pennsylvania, and Texas. “It is what it is, and we have to continue to focus on the issues that we're concerned about and that's the economy, jobs, unemployment in the African American community, which is now off the charts and moreso for Black youth. We're worried about education, more funding for historically Black colleges and universities, healthcare and financial reform, and those things that actually affect your pocketbook,” Ms. Campbell told The Final Call. Although President Obama's election did not signal the arrival of the Promised Land, it signaled that some elements were in sight, said author and radio show host Rev. Michael Eric Dyson. This election has quelled those desires and the thirst for progressive, liberal, or centrist engagement with issues of race or Black suffering, he said. “In the same way that the repeal of don't ask, don't tell was encouraged by gay and lesbian, transgender and bisexual brothers and sisters, and that constituency spoke out and demanded some action; Latinos have been pressuring the president in regard to immigration reform; environmentalists have been lowering the boom; but Black people are the only ones standing in line without any demands and without understanding that the president won't speak to your interests or demands without being asked to, without being forced to, without being cajoled, and in one sense made responsible for those interests as we've done with previous presidents,” Rev. Dyson said. “Remember who you're dealing with. President Obama, who was already a centrist, middle of the road politician and if he's skillful enough, he could do the same thing that Bill Clinton and Ronald Reagan did when faced with the same kind of situation, and that is do a lot of compromising with the opposition,” said Dr. William Boone, a political science professor at Clark Atlanta University. How well the Black community will be served by “compromise” remains to be seen, but expectations aren't high and political hope is in short supply.